Setup the baseline photo for your staff members. You can upload a new one, or use an existing one. Jibble In/Out as usual. If someone has a suspicious entry, you will automatically be notified. When your staff Jibbles In/Out with locations you can easily see where they actually worked and how long they have spent there. Great for sales reports! 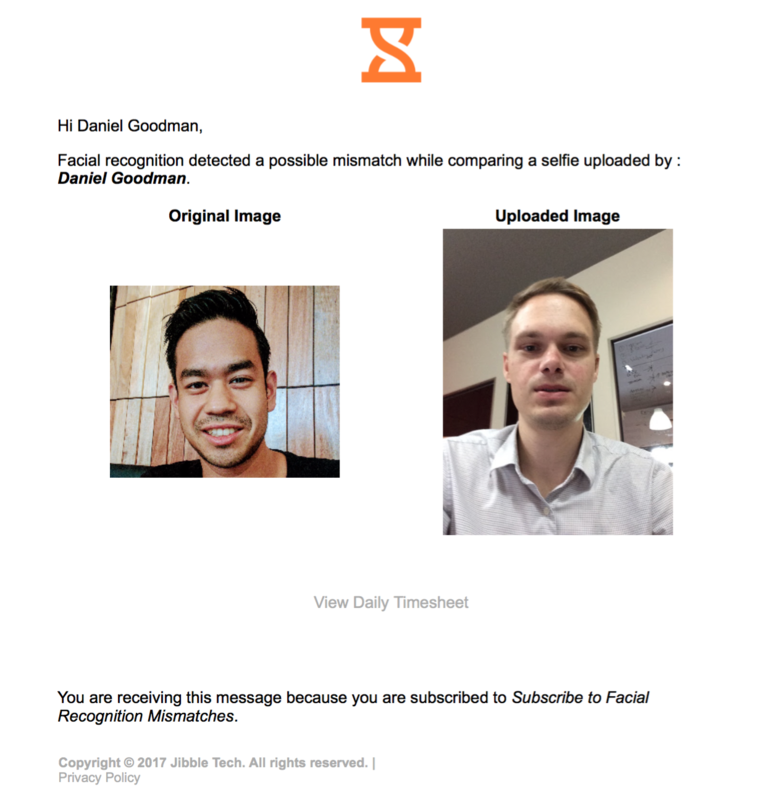 If there is a mismatch between selfies that are captured with the Kiosk, facial recognition will automatically send you an e-mail about suspicious behaviour. Each organisation is different so power-up Jibble to suit your needs and set it up just the way you want. We are developing more features all the time.